After years of friendship, the women of the SAHM I Am e-mail loop are finally meeting in person. But with two new moms trying to blend in with Dulcie and the gang, there's bound to be trouble! Earth-mother Iona and young mom Hannah are thrilled to join the weekend getaway sans hubbies and kids. But sparks fly when Hannah's know-it-all attitude clashes with the Queen of Ego, Rosalyn. When things go from bad to worse, one mom must step in to save the weekend from total disaster! 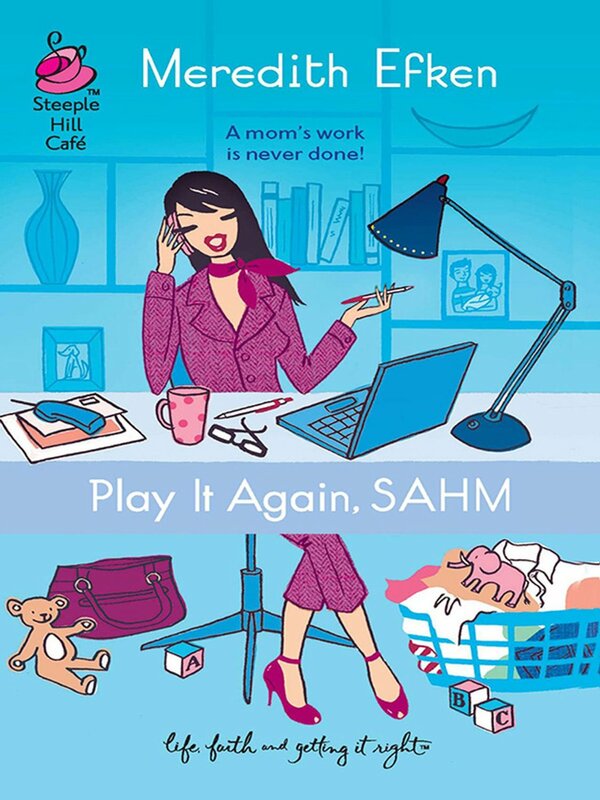 PLAY IT AGAIN, SAHM is compilation of emails, texts and instant messages between a group of Christian stay-at-home-moms who have formed a support group named – [SAHM I AM]. • feeling inadequate because I don’t make my own baby food, etc. These quirky Christian women are from all over the country and each have a distinct personality. Each woman shares her daily struggles with the group and as a result they try help each other by offering advice. Mayhem often follows as they try to solve their everyday problems. Play It Again [SAHM I AM] is a fun fast paced book that made me laugh. It doesn’t have any chapters which makes makes the flow of the book feel quick.